Any hopes that the Raiders would turn their eyes to San Diego in wake of the Chargers’ departure all but evaporated Monday when National Football League owners conditionally approved the Oakland franchise’s move to Las Vegas. The Raiders will play in Oakland for two more seasons before heading to Nevada, the team announced. It is the third franchise relocation green-lighted by the NFL in a little more than a year, including the Chargers and Rams to Los Angeles. HOUSTON — Oakland, the city with no stadium plans and a halfhearted effort to hang on to the Raiders, gets to keep the team anyway — for now. The Raiders pulled their bid to relocate to the Los Angeles area late Tuesday after it became clear the team didn’t have the support from NFL owners to move. Instead, after a long day of deliberations, NFL owners meeting at the Westin Memorial City in Houston formally approved the relocation of the St. Louis Rams to Los Angeles, with ultra-wealthy Rams owner Stan Kroenke planning a $1.86 billion stadium project in Inglewood. 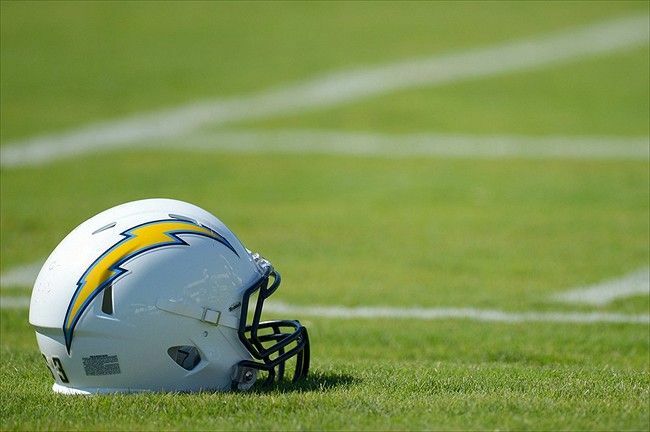 The San Diego Chargers were given the option to join them in Inglewood after haggling unsuccessfully for years for a new stadium. But if the Chargers decline to move, the option to join the Rams in Inglewood will be given to the Raiders, NFL Commissioner Roger Goodell said. CARSON – On a night when dozens of jersey-wearing, flag-waving Chargers and Raiders fans turned Carson City Hall into an indoor tailgate, the Carson City Council on Tuesday night approved the Chargers’ and Raiders’ plans to build a $1.65 billion, 70,000-seat stadium next to the 405 Freeway. That eliminated a significant obstacle for the two NFL franchises as they race to catch up with an already-approved $1.86 billion Inglewood stadium project backed by Rams owner Stan Kroenke. NFL urges cities to act quickly if they hope to keep teams from moving to L.A.
PHOENIX – With the NFL gearing up for the possibility of one or more franchises declaring by the league’s October meetings their intention to relocate to Los Angeles, NFL officials are cautioning officials in St. Louis, San Diego and Oakland that any pitches to keep their teams need to be made this year and sooner rather than later. While the league’s annual window for teams to announce their intention to relocate remains Jan. 1 to Feb. 15, NFL officials are working on a number of fronts to enable the league to be ready for a vote months earlier should the Rams, Raiders or Chargers commit to moving out their current markets.